If you have used Google Maps the last day or two and things look different, you aren’t imagining things. The Maps team has been rolling out a significant update behind-the-scenes for the app for Android and the web that has a much improved color pallet and new highlight areas of interest on the maps. The good thing is this update is all happening on Google’s end. There is no app to update on your side. As the improved maps roll out to all users, you will just see it on your account. The biggest change is really around the color pallet and the removal of things like black lines around roads. This makes viewing maps much easier and cleaner than the old maps. 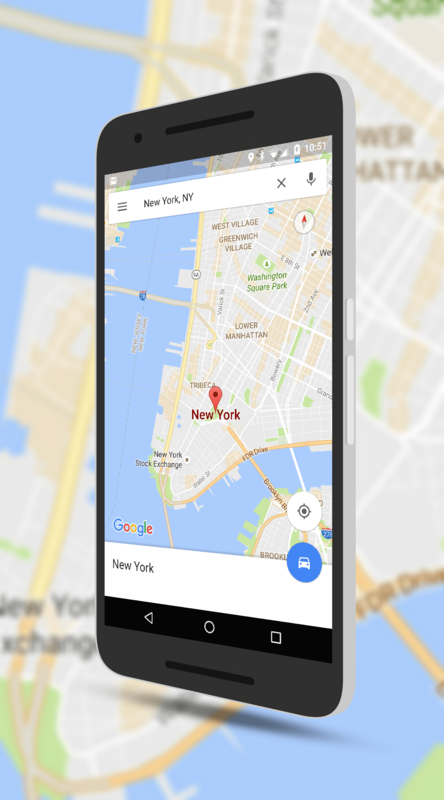 In a practical sense, this means that viewing Google Maps will be easier on a lot of levels: clearer text, less clutter and easier identification. see areas of light orange. These are areas of interest in the town or city you are viewing such as the Mission District in San Francisco or Tribeca in New York. The idea is to quickly draw your attention to one of these areas so you can zoom in on it while not over cluttering the screen. All of these changes add up to a much improved viewing and user experience for Google Maps on your phone. There are some users reporting that they are also seeing a Wi-Fi only mode and mass transit delay information in Maps as well. I, for one, have not seen these yet so it could be yet another thing that rolls out to the masses at a later date, much like the Internet Speed Test I posted on earlier this morning. If you are not seeing the changes to Maps yet on your phone, you can check it out on the web as everyone has been updated there. The app update should be happening to everyone this week if it hasn’t happened already.